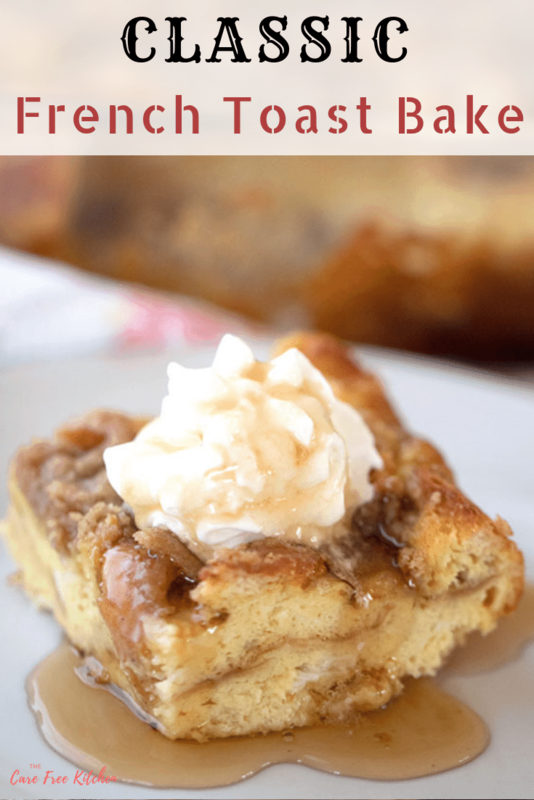 This is a classic French Toast Bake or Overnight French Toast recipe. 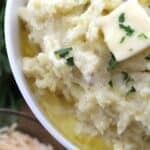 It’s made with simple ingredients and is so easy to make! 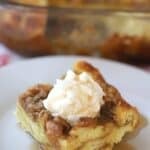 This overnight french toast casserole is perfect for the holidays or brunch any time of the year. It’s a classic baked french toast recipe and can be made any season. 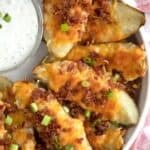 This recipe is easy peasy and can be made ahead of time. I’ve even made this 48 hours in advance and it turns out perfectly every time. This recipe calls for a streusel topping. 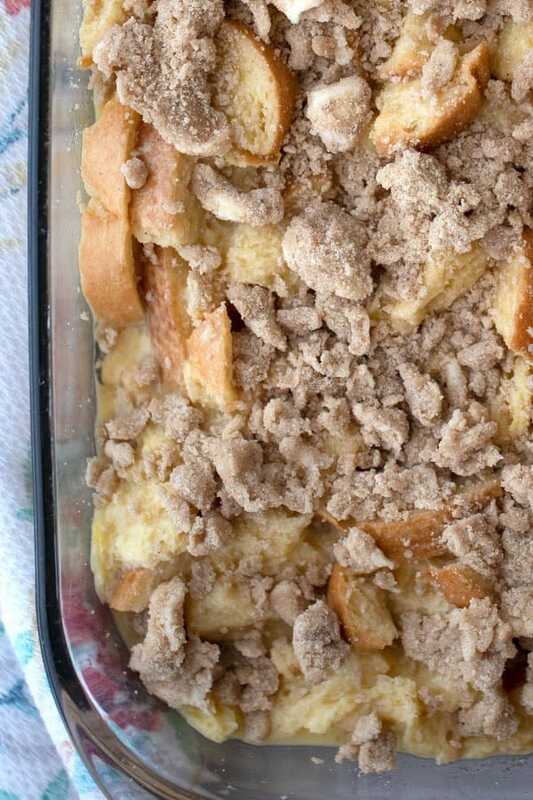 This french toast bake recipe is delicious with or without the streusel topping. 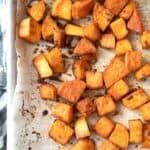 You can make this recipe 40 min-48 hours ahead of time. If you don’t have time to make this ahead of time, you can make this french toast bake not overnight. Simply add your bread to the egg mixture. Let it sit for 10 minutes and then gently toss the bread in the egg mixture again. 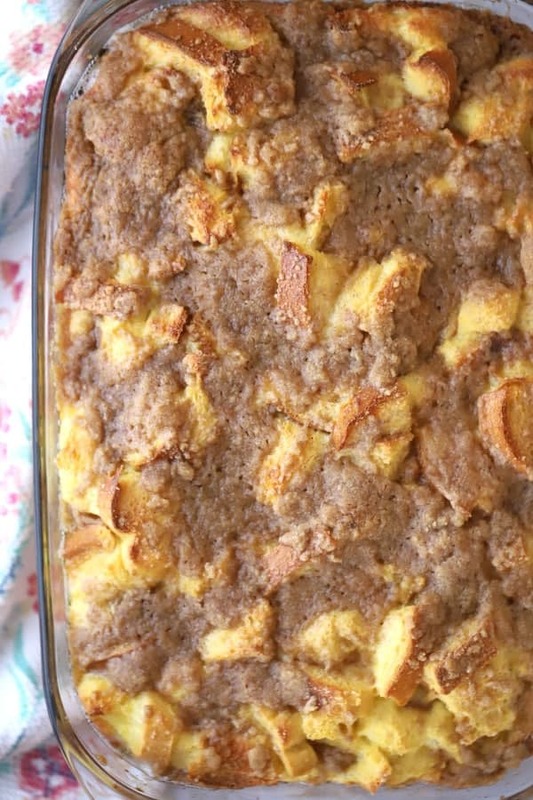 Pour into a baking dish and top with the streusel topping. Bake as directed. You can add your favorite berries on top of the french toast bake before adding the streusel topping. 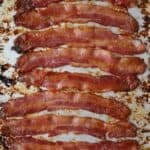 You can also add 2, 8oz packages of cream cheese to this recipe and wah-lah, it becomes french toast bake with cream cheese. 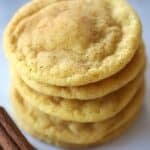 Serve with whipped cream and your favorite syrup, maple syrup, lemon syrup, berry syrup, or coconut syrup. 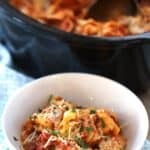 Keep leftovers in a covered container in the fridge in and preheat in the microwave. 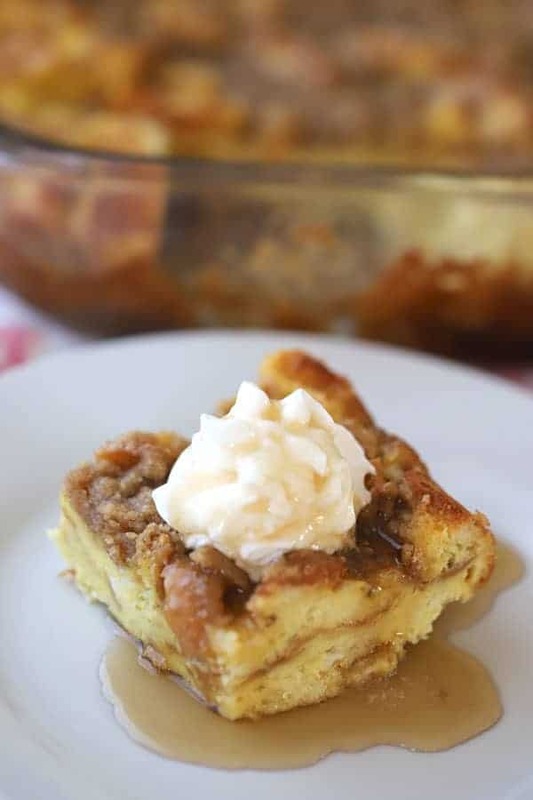 This is a classic French Toast Bake or Overnight French Toast recipe. 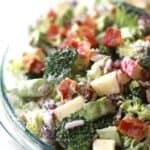 It's made with simple ingredients and is so easy to make! In a large mixing bowl, crack the 12 eggs and whisk with a fork. Add the milk, maple syrup, vanilla, cinnamon, and nutmeg. Whisk again until all the ingredients are combined. Cut the french bread into 3/4"- 1" chunks and add to the egg mixture. Mix until all the bread chunks are coated. Pour into the greased 9 by 13" baking dish. In a medium-size mixing bowl, add the room temperature butter, brown sugar, flour, and cinnamon. Stir or mix with your hands until the mixture has 1/4" pieces. Sprinkle the butter mixture on the french toast bake and cover with plastic wrap. Let it sit in the fridge overnight. When you are ready to bake the french toast casserole, take the baking dish out of the fridge. Preheat the oven to 350 degrees. Be sure the baking dish has a chance to come up to room temperature before putting it in the oven. Bake for 45-60 minutes or until the edges are golden brown. Serve with whipped cream, berries or your favorite syrup. Enjoy!